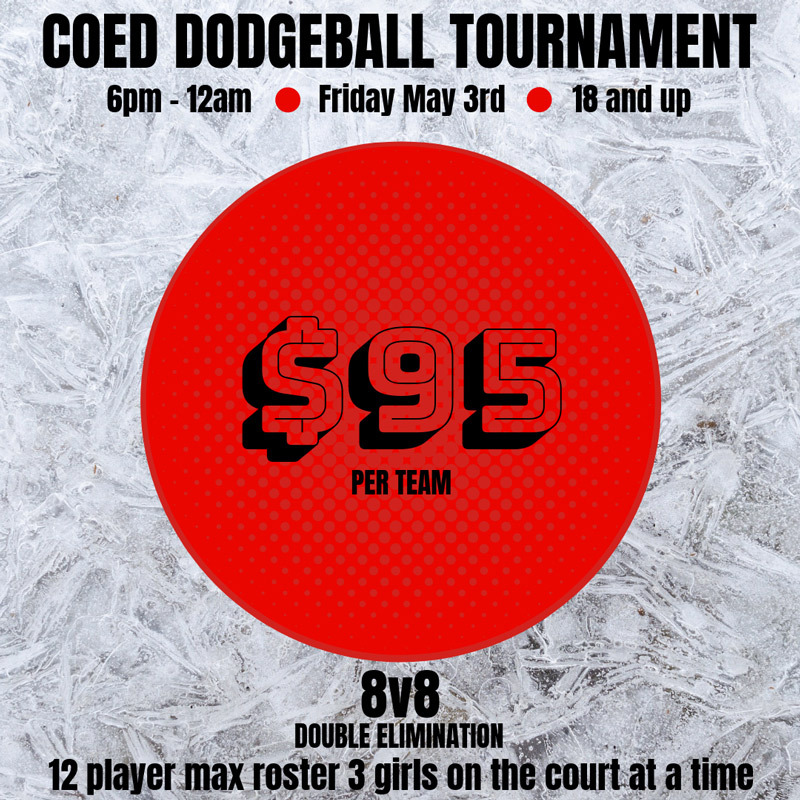 The Coed Dodgeball Tournament will be held on Friday, May 3rd from 6:30pm-midnight. The deadline to enter is Wednesday, May 1st, so get your team entered today! No payment – No play…..Your team will NOT be put on the schedule if the $95 has not been paid by May 1st!!! For questions or more information, contact us at 918-249-0044.